Rave parents who love ravers! We're friends if you're feeling lonely, and a safe place to hangout if you're in danger. If you're sick we will help you or get you the medical attention you need... just like we would if you were our own kids... no judgement. 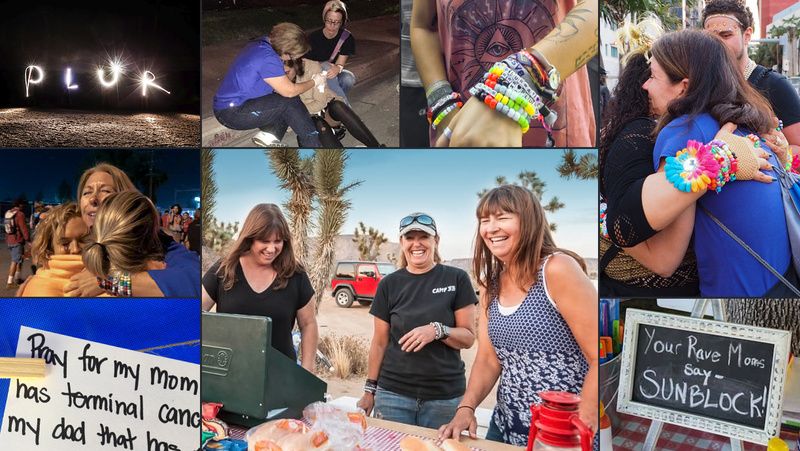 Who are the Rave Moms? We're older Christian moms who travel across the country to attend raves and EDM festivals. We truly love talking with ravers, handing out our kandi bracelets and giving free hugs! We want to listen to your story, and hear your hopes and dreams. We want you to be safe, and we want to SHOW you how much God loves you... not shove religion down your throat. There is a purpose for your life. PLUR doesn't have to be temporary. Tag us #plurwayravemoms or #ravemomhugs on your favorite social media.